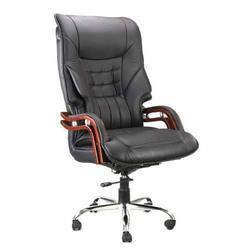 Boss Office Chair, Boss Chair online with Price, Manufacturers, Suppliers, Traders and Companies in India. We manufacture and supply supreme quality Office Chair that is highly demanded in many schools, institution, and many companies for office purpose. Usage/Application: Office, School, Collage, Shop, Etc. We are offering Leatherite Boss Chairs to our client's. High back Executive chair with chrome base hydraulics/tilting plates with leather height Tapestry. We are highly appreciated in the market for our exquisite collection of Boss Chair. 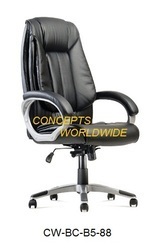 To manufacture these executive chairs, we employ latest equipment and advanced technology. Also, we inspect these chairs on certain well-defined parameters of quality in order to rule out every possibility of defect. - Dimensions: H 45" x W 28" x D 28"